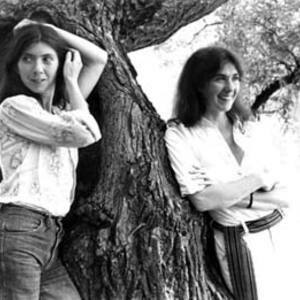 Sisters Kate and Anna McGarrigle are Canadian singer-songwriters born of Qu?b?cois and Irish parents in Saint-Sauveur-des-Monts, northwest of Montreal, and educated at a Roman Catholic convent school. Kate died of cancer on 18th January 2010. Their songs have also been covered by a variety of other artists, including Maria Muldaur, Linda Ronstadt, Emmylou Harris, Billy Bragg, Chlo? Sainte-Marie, and Anne Sofie von Otter. Their songs have also been covered by a variety of other artists, including Maria Muldaur, Linda Ronstadt, Emmylou Harris, Billy Bragg, Chlo? Sainte-Marie, and Anne Sofie von Otter. Although associated with Quebec's anglophone community, the McGarrigles have also recorded and performed many songs in French. Two of their albums, Entre Lajeunesse et la sagesse (also known as French Record) and La vache qui pleure, are entirely in French, but many of their other records include one or two French songs as well. Most of their French songs have been co-written by Philippe Tatartcheff, with occasional input from Kate McGarrigle's son, Canadian-American solo artist Rufus Wainwright. Kate was also married to Loudon Wainwright III, and their children are Rufus and Martha Wainwright. Another sister, Jane McGarrigle, has written and performed several songs with the duo.